Everything Blueberry! 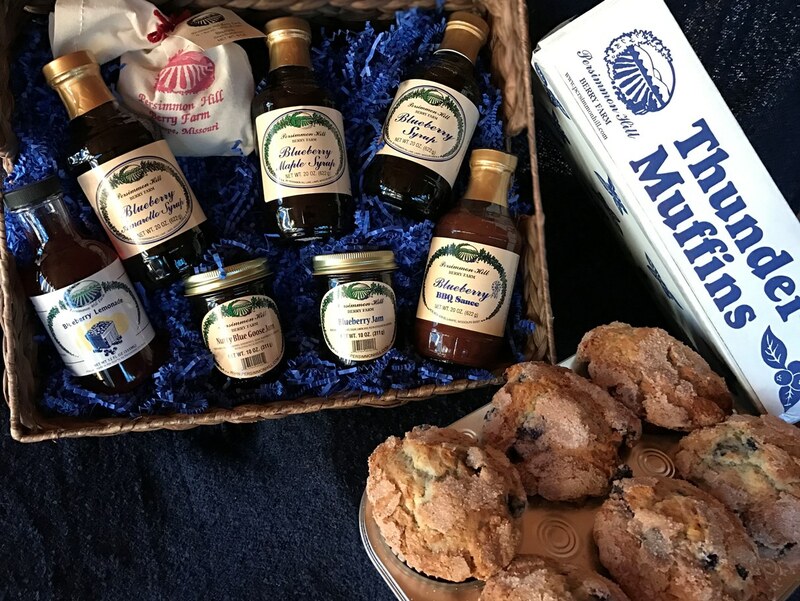 Add 6 of our huge Blueberry Thunder Muffins to our Blueberry Bliss gift box, with 8 of our unique blueberry products: Blueberry Jam and Nutty Blue Goose Jam (with blueberries, gooseberries and black walnuts), Blueberry BBQ Sauce; one bottle of each of our Blueberry Syrups - Blueberry, Blueberry Amaretto and Blueberry Maple; Blueberry Lemonade; and dried blueberry Blazons. Two of gourmet jams or spreads and a bag of biscuit mix.